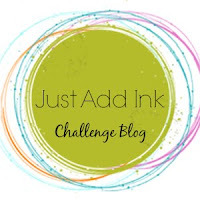 This week we have a sketch challenge for you. A sketch challenge does not need to be taken literally. You can flip it, rotate, stretch or shrink, add a few things here and there, as long as you use the sketch as a guide, you should be right. Please use the keyword JAI15 when uploading to public galleries. 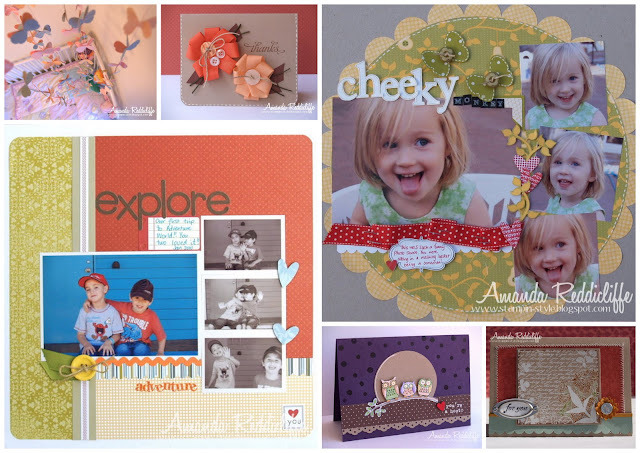 Your creation must be exclusive to our sketch challenge. Entries with 3 or more alternative challenges listed (ours included) in the post will be deleted at the discretion of the JAI hosts. Mr. Linky will close Wednesday May 5 at 23:59WST. Be here on Thursday May 6 to see our Top Picks. 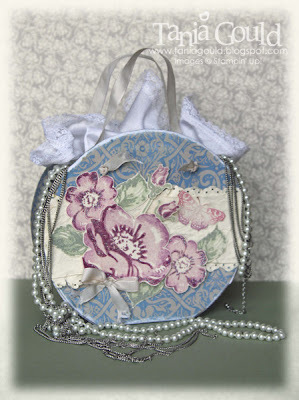 Big pats on the back to everyone that played along with our Just Add Vintage challenge - what an amazing group of crafters you are! Thanks to everyone that played along. Be sure to pop back here tomorrow for a super sketch challenge and a whole lot of inspiration! 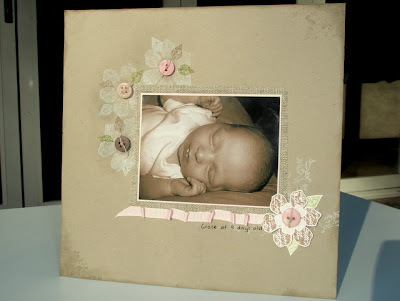 Until recently I thought it was when my son was born, but it was actually in 2003 when I was handed my ultrasound pictures, and my mother in law suggested we scrapbook them at a party she had been invited to for this little company called "Creative Memories". A triangular piece of cardstock and a row of stickers later, I was hooked! 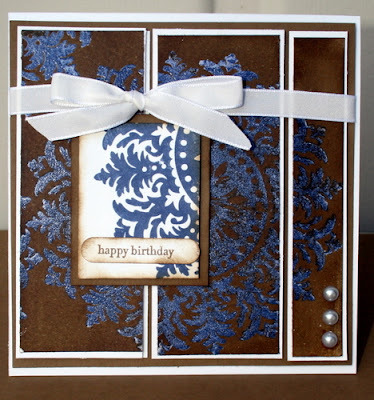 What made you interested in stamping/card making/scrapbooking? 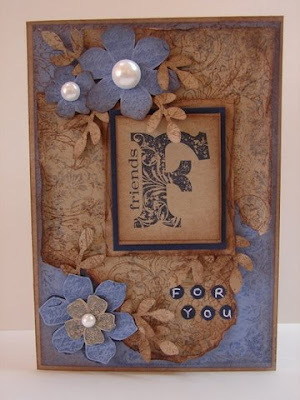 Just the feeling of doing something with a point - my scrapbooking (I hope) will be passed down over the generations - I wish I had something like this from my parents, grandparents, just so I knew more about them and their day-to-day life - even if it was just journalling! How often do you stamp/scrap? I try to every day, but my family are my first priority so ... whenever time permits really! Night time is the best time for me to scrap or stamp. Where do you get your inspiration? Are you inspired by anyone in particular? 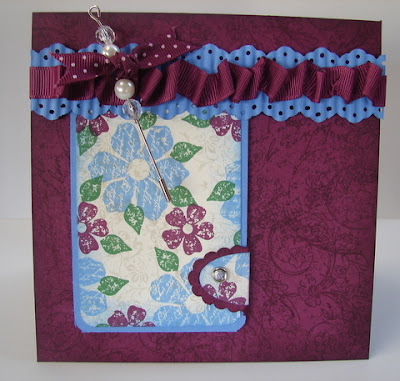 I am inspired by other crafters on the net, magazines, fashion trends. So many people inspire me - I couldn't narrow it down to a few. What’s your favourite technique to use? I find the "clean hands" approach works wonders. For cards I'm a simple stamp, glue and stick girl. For scrapbooking I just like to find things that look pretty together and piece them together. Paper piecing I suppose!! What technique/s are you keen to learn? Brayering with a capital B! 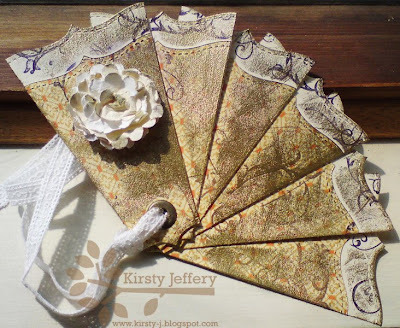 What tip/s would you give to other crafters? It's OK to draw inspiration from others - 99% of the time something that starts as a CASE will have your own spin on it to make it unique. Don't buy on impulse - only buy things you'll get tonnes of mileage out of over the years. 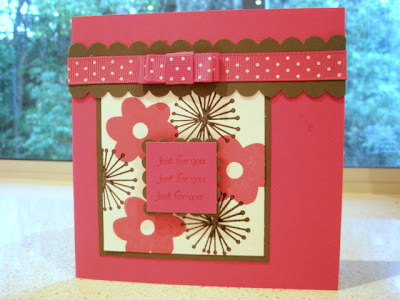 Don't keep clutter - if you haven't used it in a year, turf it or trade it in with other crafty friends. Have a garage sale amongst yourselves. 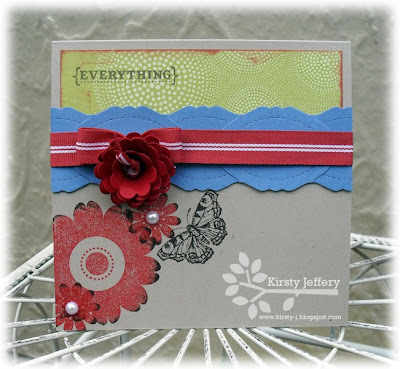 As always, we have some stunning projects in this week's Just Add Vintage challenge! If you haven't already entered, the cut-off time is Wednesday 28th April at midnight WST and you can submit your entries HERE. Hi everyone! Hope you're ready for the next challenge! Without further ado, here it is. Please use the keyword JAI14 when uploading to public galleries. 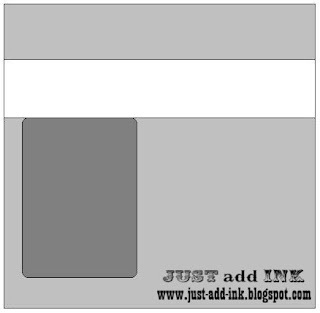 Provide a direct link to the post on your blog where you've displayed your creation using Mr. Linky. Incorrect or bogus links are not eligible for Top 5 picks, and will be deleted. Projects must be new and exclusive* to Just Add Ink. Mr. Linky will close Wednesday 28th April at 23:59WST. Be here on Thursday 29th April to see our Top Picks. As always, there was an abundance of beauty this week with your creations - congratulations and thank you to everyone that played along! Here are our Top 5 picks for JAI13, be sure to click on their name or photo to go their blog and leave some comment love! And for those of you just itching for more inspiration, come back here anytime after midnight tonight for our latest challenge ... you're going to love it (no ... that wasn't a clue!)! If you haven't already entered, the cut-off time is Wednesday 21st April at midnight EST and you can submit your entries HERE. 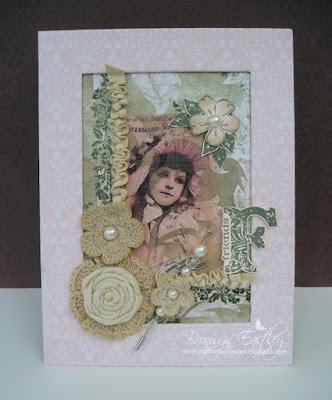 We're extremely lucky to have the very talented Paula Dobson join us to share a Guest Designer Tutorial. 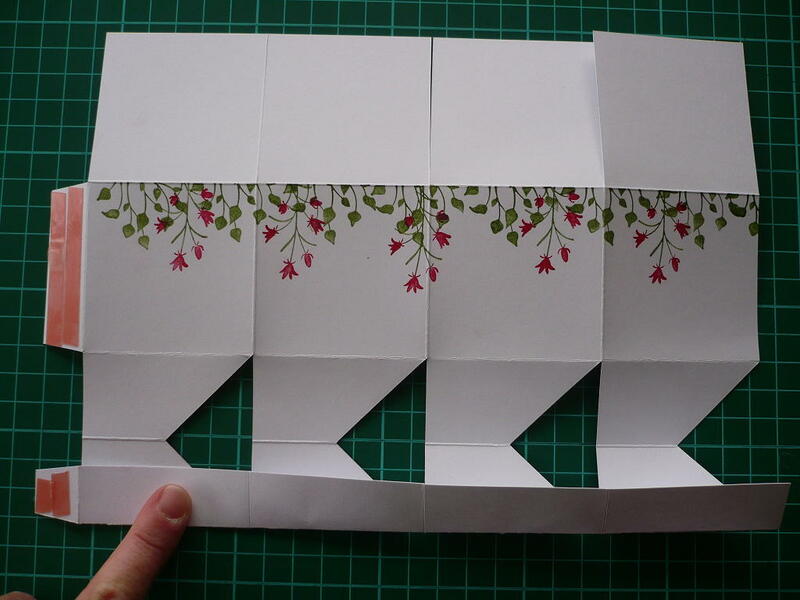 We've added a link feature at the bottom of this tutorial if you'd like to share your work! 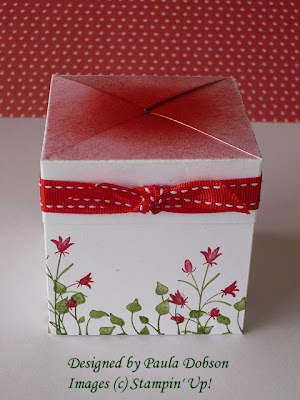 This is not a challenge, just a way to share some great recreations of this gorgeous box. Enjoy! 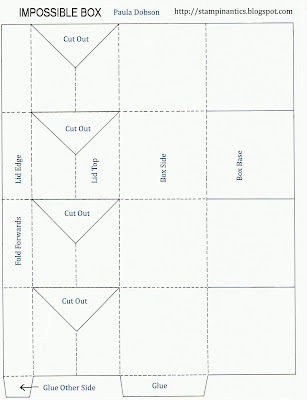 Using the template at the end of this tutorial, score and cut your A4 sheet of cardstock as directed. 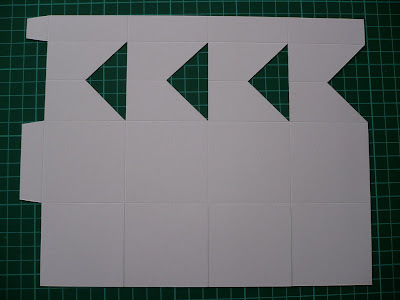 I have made the squares 6 x 6cm, width of the lid 2cm, and the width of the side tabs are 1.5cm. 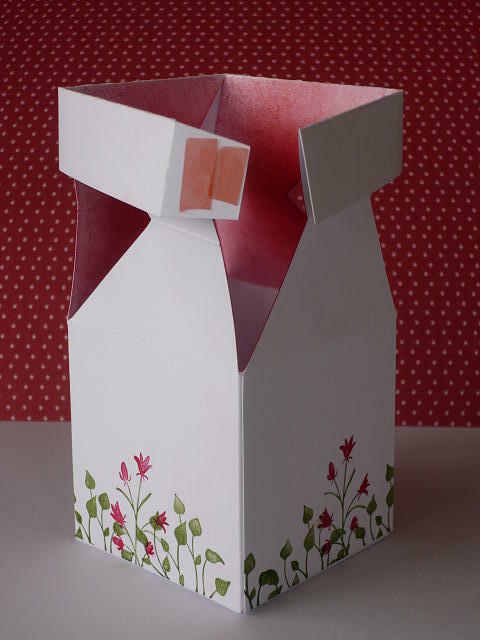 You can make your box any size the cardstock you are working with will allow. If you are going to stamp a design, do it now before folding your box together. 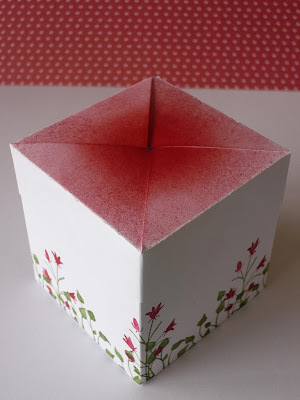 I folded the box base underneath the area I was stamping so I had a plain white base. You could also mask the base. 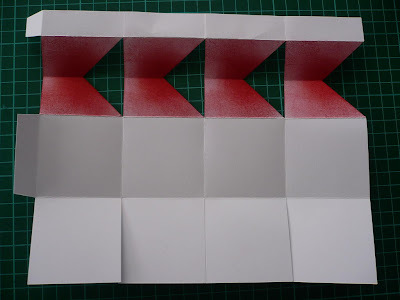 If you want to colour the top of the box, you need to turn your cardstock over, as this is the surface that will appear on the top of your box. I have chosen to sponge in the same colour as my stamped flowers, darkening what will be the centre of the lid. 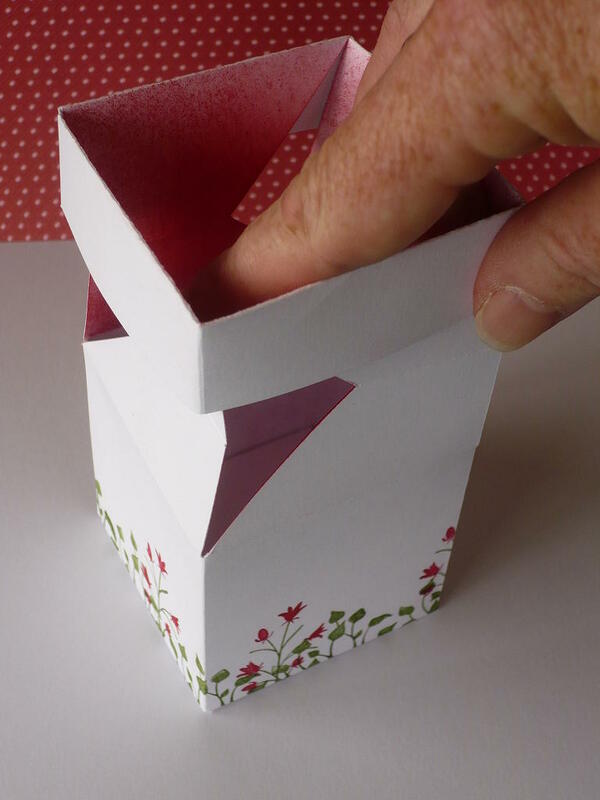 Turn your card back to the front again and fold the lid edge toward you. Make sure you score your lines well, to make them nice and crisp! 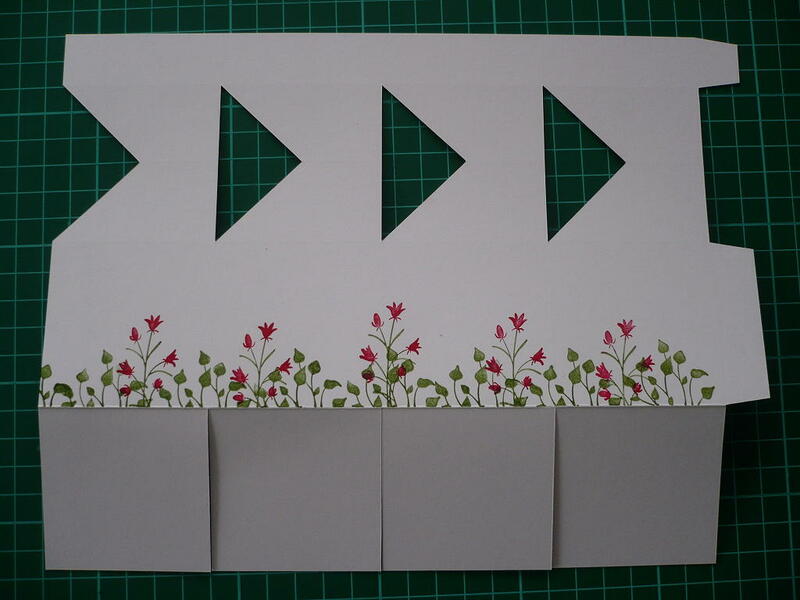 Using sticky strip, adhere to the tabs as illustrated. Make sure you have turned your lid edge before sticking down the side tab of your card to the opposite end. 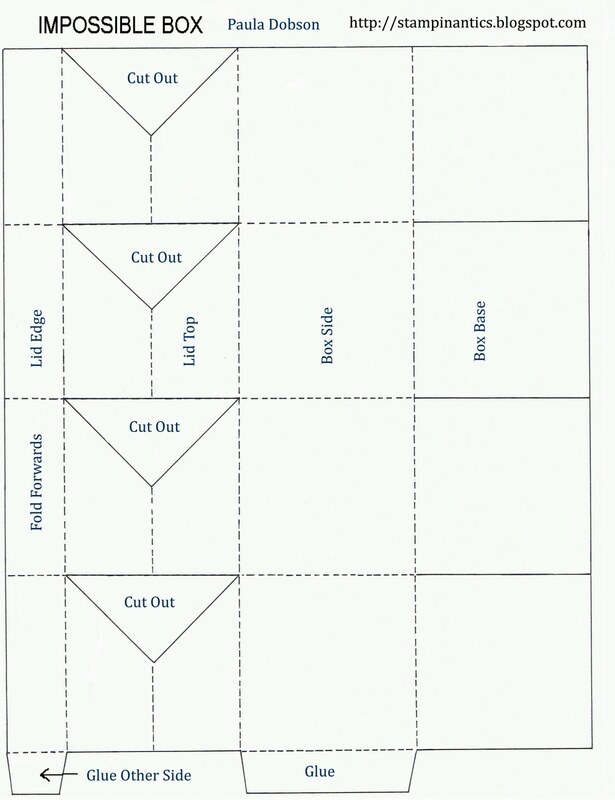 This will create the body of your box. best way to make sure the lid will slide down over the box is to close the box before adhering the tab. Close the box by gently pushing down on the lid. 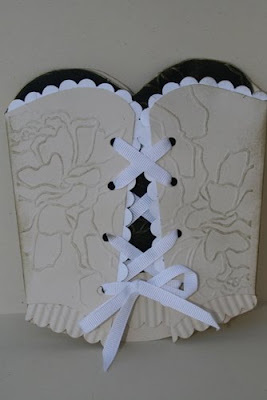 Take the backing off your sticky strip and gently squeeze the sides of the lid together before sticking down. It will be a little off (as shown) but that’s okay. 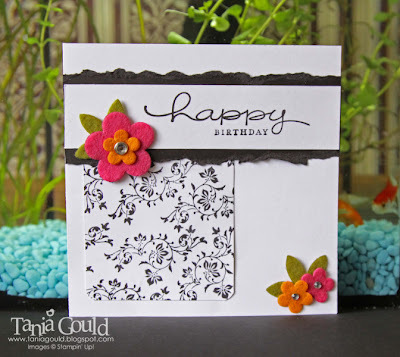 We can hide this with embellishments!! Inside of the box is now on the top! 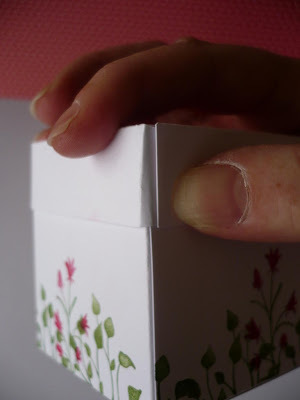 Gently pull the edges up to open the box again. anything small you would like to put in your gift! off nicely. Now your box should look like this!